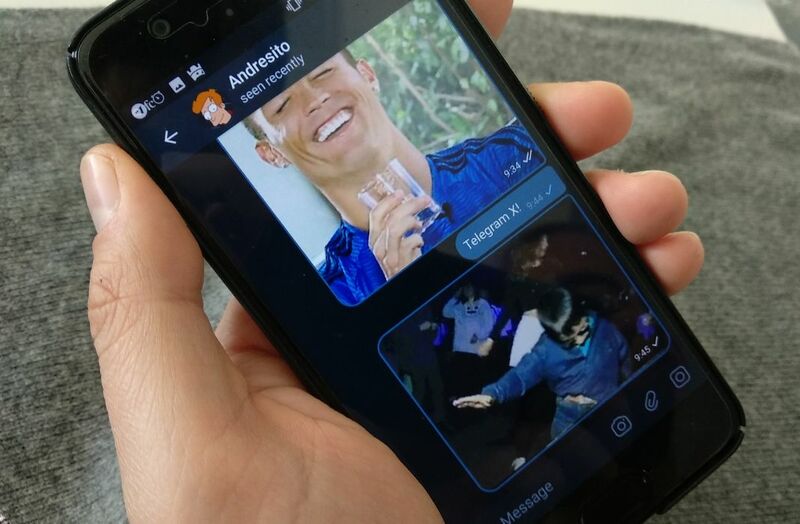 Telegram X is an alternative version of the instant messaging client that offers some design changes and much faster performance. We never get tired of talking about how much we love Telegram. It’s one of our favorite communication tools and we always keep up with the latest news and updates. In fact, when we try to think of another high-quality alternative to rival Telegram, nothing usually comes to mind. Or at least that was the case before we tried Telegram X, an official alternative version of Telegram that you can now enjoy on Android. The name Telegram X may sound familiar, since it’s the same name as a new alternative version of Telegram that appeared at the end of 2017 for iOS. This version was developed from scratch with Swift, the programming language of Apple. So then where does Telegram X for Android come from? The answer is Challegram, the winning client of the contest organized by Pavel Durov, the founder of Telegram, which searched for the best versions of the app. Challegram has been bought by Telegram and has been reformulated into Telegram X. This alternative version is based on TDLib (Telegram Database Library), and promises to be the bright future of Telegram thanks to its performance, ease of use, and its multiplatform options. You can explore this library in Github if you’re curious to learn more. 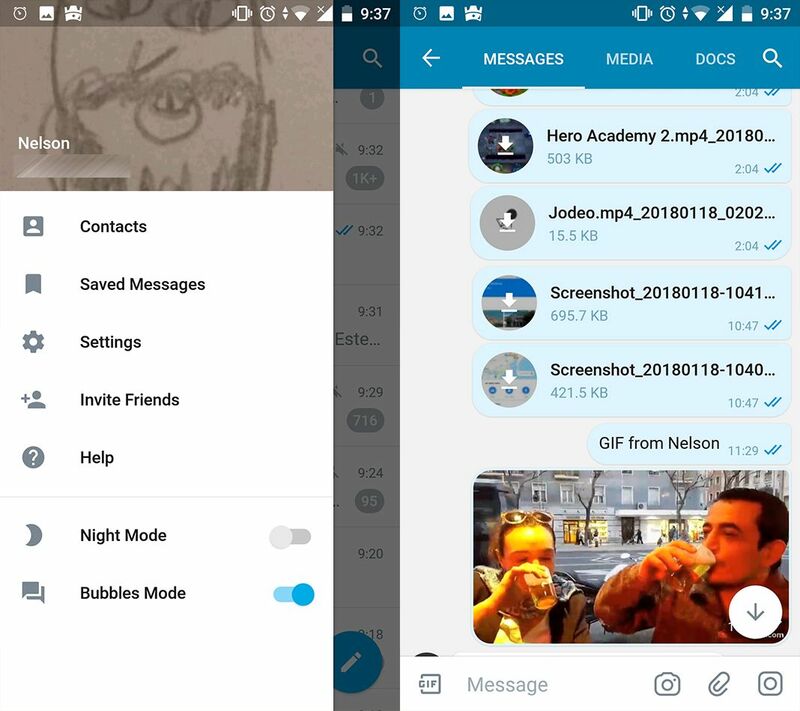 This experimental version of Telegram isn’t extremely different from the original client. However, it does include certain details that could make you switch over to Telegram X if you’re looking for improved app performance. 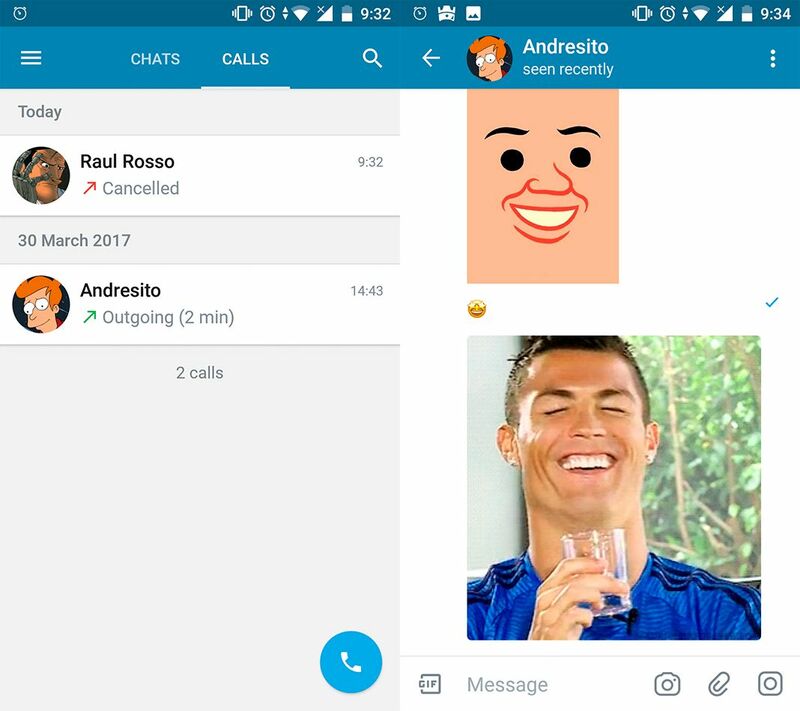 The first thing that stands out is the fact that the main screen is divided into two sections: one for the traditional chats, and the other for calls. A change that smells like the future given that it emphasizes the use of calls via Telegram and offers one of the most used features of Telegram X: the use of tabs. Instead of traditional buttons that we’re used to in WhatsApp or Telegram, Telegram X flows smoothly based on its always-useful tabs. In the chat screens, we can appreciate this new feature that allows us to navigate between the sharing options from the lower part of the screen. 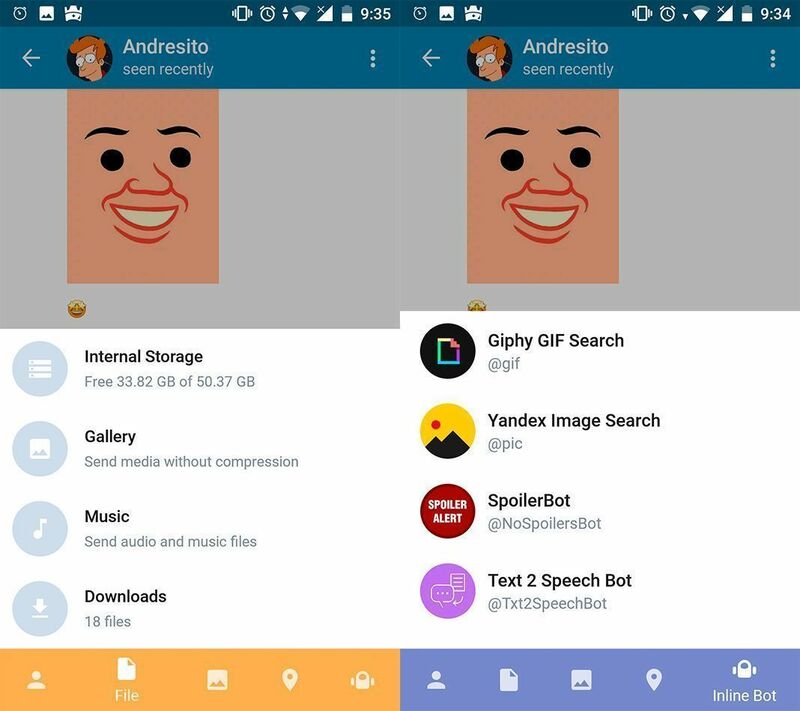 It’s an efficient way to quickly share things like images or your location, and there’s even a tab dedicated to the online Telegram bots. Telegram X also comes with a cleaner and clearer visual style, offering much more stylish icons for most tasks. But it also goes one step further to include a night mode and the use of chat bubbles. Ultimately, it’s an interesting option that you can use to substitute your regular Telegram app. To each his own, but it seems to be that Telegram X is here to stay. What we don’t know yet is what Telegram plans on doing with both clients, but for now we can enjoy both without a single problem.